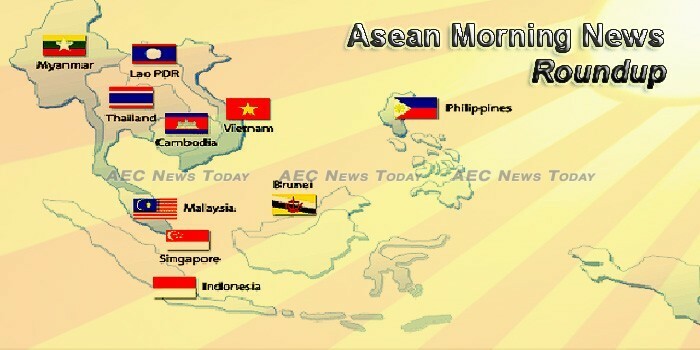 Growth in the ASEAN-5 group of economies is expected to stabilise at around 5.3 percent this year as domestic demand remains healthy and exports continue to recover, according to the latest World Economic Outlook (WEO) recently announced by the International Monetary Fund (IMF). The Overseas Private Investment Corporation (OPIC), a federal development finance institution in the US, is looking to support American infrastructure investment in Southeast Asia to enhance the region’s connectivity. The richest one percent in Thailand controls 58 percent of the country’s wealth and the top 10 percent earned 35 times more than the bottom 10 percent. As governments in Southeast Asia target economic growth through infrastructure development, China, the world’s second-largest economy, has emerged as a ready funder for some of the most ambitious and expensive projects. Boracay has been closed to tourists since April, but it has maintained a spot in Travel + Leisure magazine’s list of Top 10 islands in Asia. WEATHER-RELATED disasters linked to climate change have contributed to the rise in food insecurity. The Southeast Asia plastics market is expected to register a CAGR of 5.46% during2018-2023 (the forecast period). Construction and packaging industries are the major consumers of plastics in the region. Hang, a tuk tuk driver, is momentarily distracted from his smartphone as a rally of political supporters trundle down a main thoroughfare in Phnom Penh, Cambodia’s capital. Nearly 70,000 security personnel will be deployed at all 22,967 polling stations during Cambodia’s general election, a National Election Committee (NEC) member said Tuesday. Indonesia’s foreign debt grew slower at the end of May 2018 as foreign capital outflows from the state securities market as a result of normalization of interest rates in the US and rising US government bond yields. The government signed on Tuesday three oil and gas exploration blocks under a gross-split contract for US$40.90 million in total investment and a $2.5 million signature bonus, bringing the total deals closed to nine since auctioning commenced in January. Indonesia’s energy subsidy will soar to a four-year high as a price freeze ordered by President Joko Widodo ahead of next year’s general elections forces the government to underwrite losses of state-run retailers. The new decree highlights the government’s policy on SEZ development, requirements for their establishment, incentives granted to investors, one-stop service delivery, and the obligations of developers to train and hire Lao workers. The Chifeng Jilong Gold Mining Limited has been announced as the major shareholder of Lane Xang Minerals following the sale of a 90 per cent share stake from MMG Limited to the company. Prime Minister Thongloun Sisoulith has called for efforts to ensure poverty and least-developed status can be eradicated from the country’s rural areas, with the entire nation called upon to participate in the struggle. Malaysia is inching closer to regaining its lead over Singapore’s economy after trailing for a third straight year. Malaysia’s retail sector is estimated to chalk up a growth of 5.3 per cent after the 14th General Election and revised from an earlier estimate of 4.7 per cent, said Retail Group Malaysia (RGM) Sdn Bhd managing director Tan Hai Hsin. Reuters reporter Wa Lone testified for the first time yesterday in the case being brought against him and fellow reporter Kyaw Soe Oo for allegedly violating Myanmar’s Official Secrets Act. The Anti-Corruption Commission under the Ministry of Planning and Finance issued a press statement on July 16 which says the commission registered a case against 12 customs officers and employees in connection with the import of vehicles. THE PHILIPPINES is “largely compliant” with international frameworks against tax fraud, according to the latest review of the Organization for Economic Cooperation and Development (OECD), even as it cited areas of concern. The national government will lose bulk of its revenue gains from the first tax reform law should the proposed suspension of fuel excise taxes is implemented next year, the Department of Finance (DOF) warned. INDUSTRY and political problems facing the mining industry put the Philippines last among 13 Asian countries in BMI Research’s Asia Mining Risk/Reward Index for the second quarter of 2018. Instances of overpayment for services and weaknesses in the management of IT accounts have been found at the Ministry of Defence (MINDEF), the Auditor-General’s Office (AGO) said. Those attending the opening ceremony of this year’s ‘Great Exhibition of the North’ in Newcastle and Gateshead, England were treated to a dazzling display of firework waterfalls, dancing water spouts, and the first large-scale drone (drone swarm) performance in the United Kingdom (UK). Investing in regional integration could help Singapore become the world’s richest country by 2030, according to a new economics and strategy paper from DBS. The 12 Thai boys and football coach who were rescued from a flooded cave will be discharged from hospital on Wednesday (Jul 18) and hold a news conference the same day to satisfy huge media interest in their story, a government official said. TWO WEEKS after 47 people died in boat accidents in the sea off Phuket, a 24-hour marine rescue centre was officially opened in the province yesterday. A popular Vietnamese news website has been suspended and fined about $10,000 (332,000 baht) after it was accused of publishing false information, as the communist government quashes any perceived criticism.